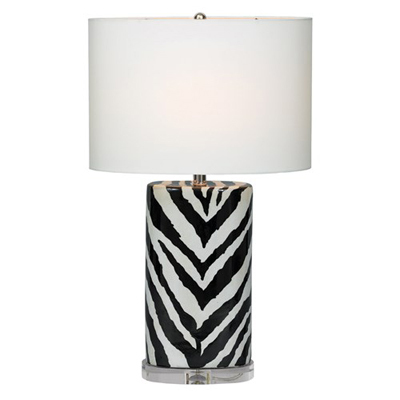 A striking accent, the Kenya oval lamp brings the wilds of Africa to a sitting area or bedroom with its black and white zebra pattern. This safari-inspired design is topped with an understated drum shade for a clean, modern look. $328. Free shipping. Buy here.